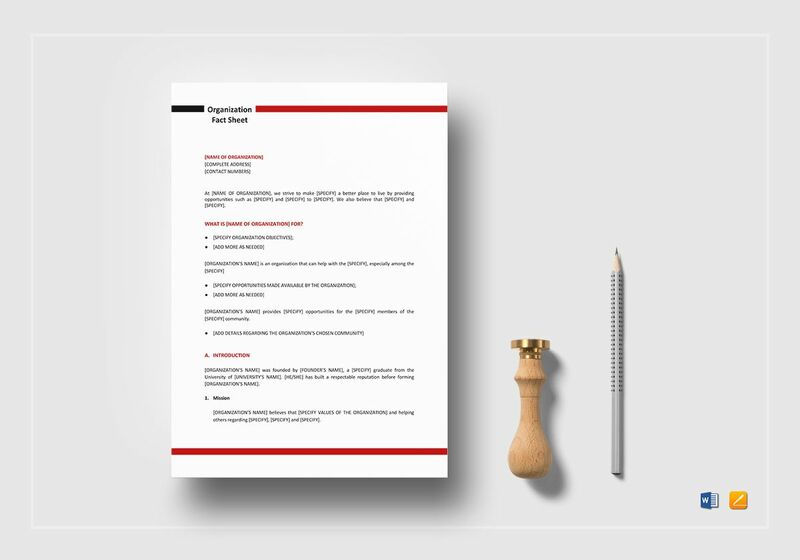 Present the most important facts about your company on a single page with this organization fact sheet template. 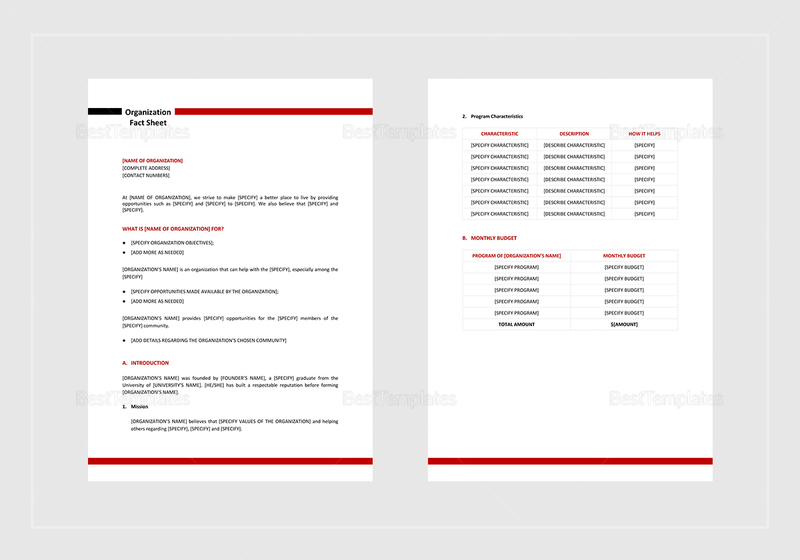 Available for lightning fast download at a very low price. 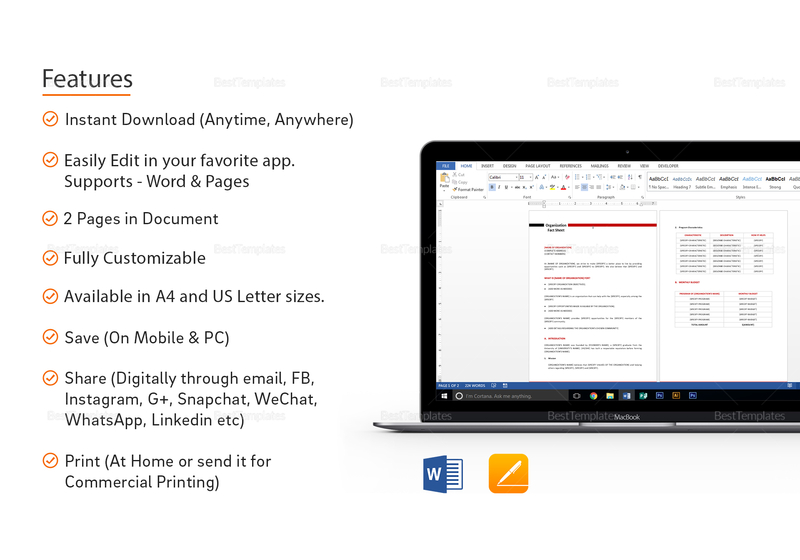 Easy to edit and customize with all versions of MS Word, Google Docs and Apple Pages. Save this on your PC or any mobile device.